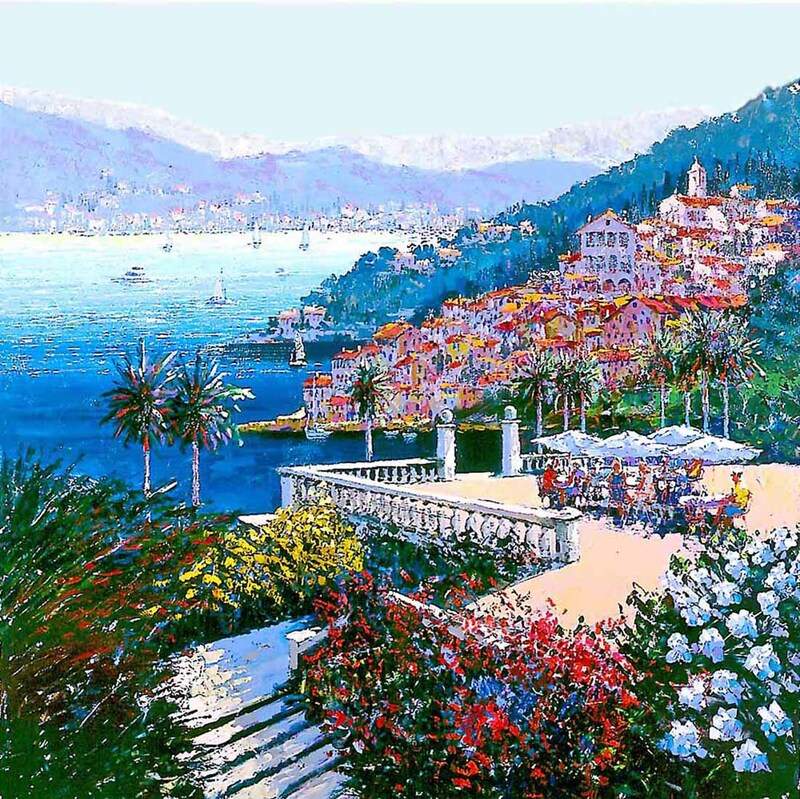 WHO: Kerry Hallam – The prolific and revered British Impressionist, who is as refreshing and spirited as his paintings, creates enticing images through bold palettes and captivating compositions. 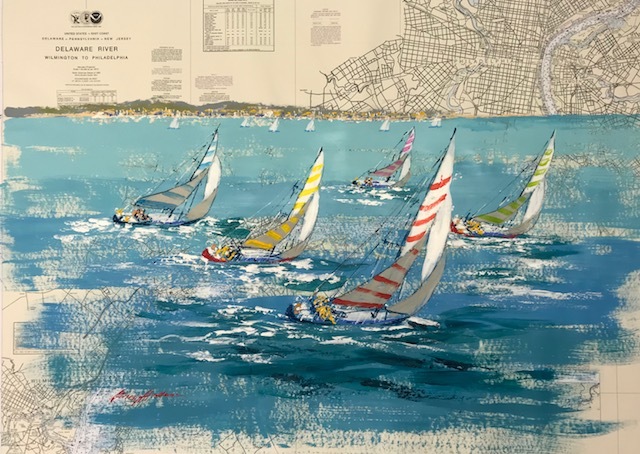 Hallam is best known for his coastal paintings, as well as unique acrylic paintings on nautical charts. 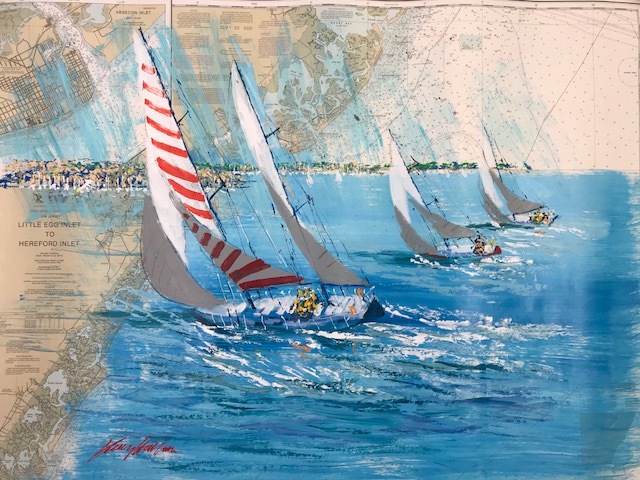 WHAT: “Kerry Hallam – Along the Coast” – For his first Stone Harbor exhibition, Hallam has created an all new collection of artwork that will include over 60 acrylic paintings, acrylics on nautical charts, and sketches. 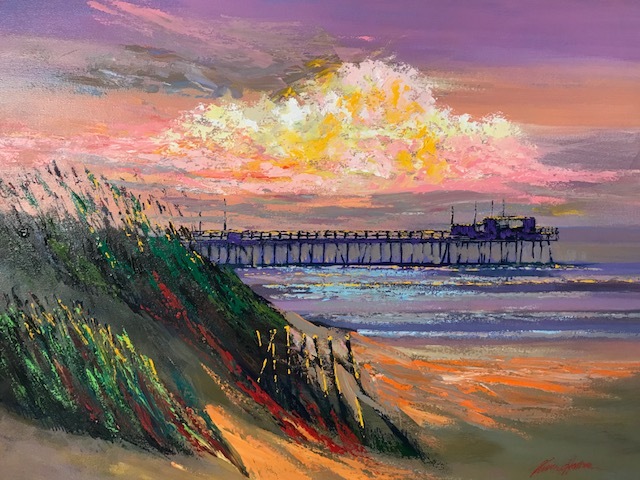 Hallam will be at intimate gallery receptions to meet guests and sign purchased artwork. The exhibit runs 10:00 AM to 10:00 PM daily through Monday, August 6. 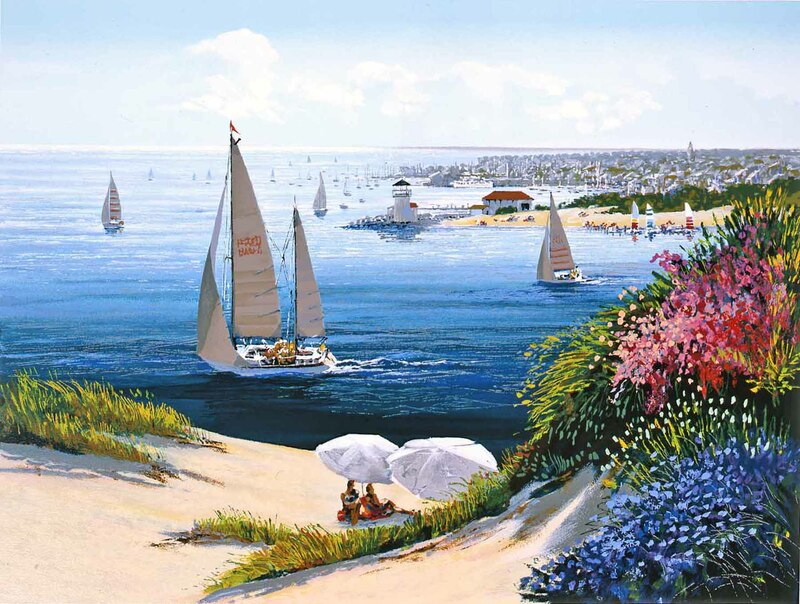 Ocean Galleries is delighted to welcome the renowned Kerry Hallam for his first ever exhibition in Stone Harbor, NJ. 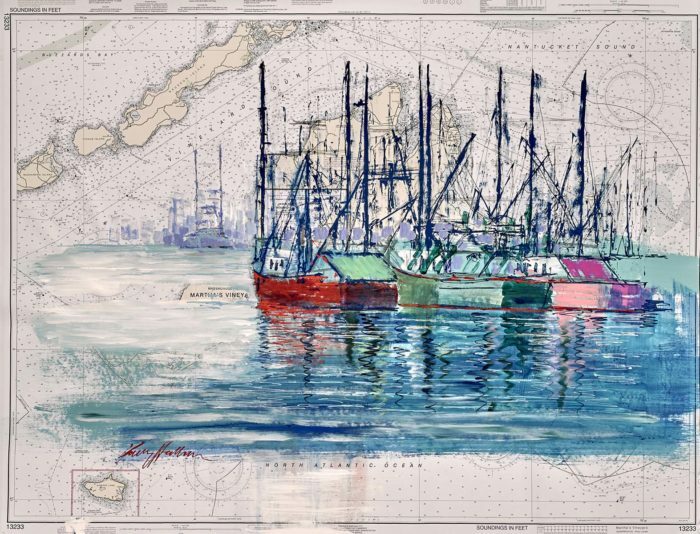 The new exhibit, “Along the Coast,” will feature many coastal themed paintings as well as his signature nautical chart paintings. Dedicated to painting for more than 50 years, Hallam’s works spirit us away to experience an alluring atmosphere and the simple pleasures of life. His lifetime of travels has continually called him to the sea and his paintings are like a stage-setting ready to be explored. 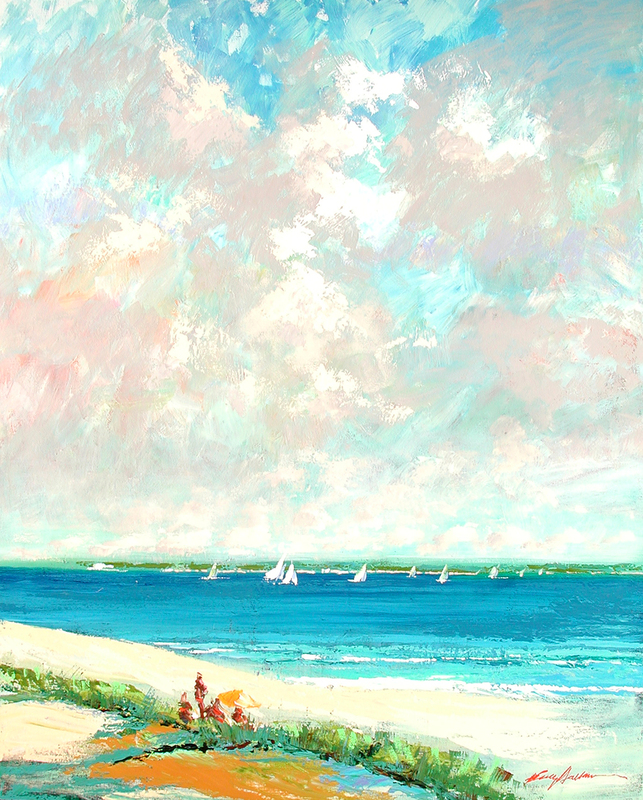 Enthusiasm for his art is fully evident in Kerry Hallam’s vivid windswept seascapes and timeless, sun-dappled village scenes. Noted for his power to evoke emotion, opulence of light and distinctive color harmonies, Hallam translates the ordinary moment into the magical. Through innumerable one-man exhibitions, Kerry Hallam has been honored by galleries around the world. His work has been featured in countless newspaper and magazine articles as well as in PBS television specials.